Posted February 16, 2018 & filed under Fluoride, Oral Health, and Access to Care. Advocates are working to build public and political support for oral health as the national debate over health and health care continues. But they face a major challenge: Most people don’t understand what oral health is, why it’s important, or how to support it across society. The connection between the health of the mouth and the health of the body is often missed when the public thinks about oral health. People also think of solutions on an individual level—as brushing, flossing, and visiting the dentist. They don’t see systemic causes of good oral health—like access to fluoridated water, nutritious food, and safe and affordable dental care—or the systemic solutions needed to ensure it is available to all. These are some of the findings of research into public perceptions of oral health conducted by the FrameWorks Institute, a nonprofit think tank in Washington, DC, that aims to expand the nonprofit sector’s communications capacity. 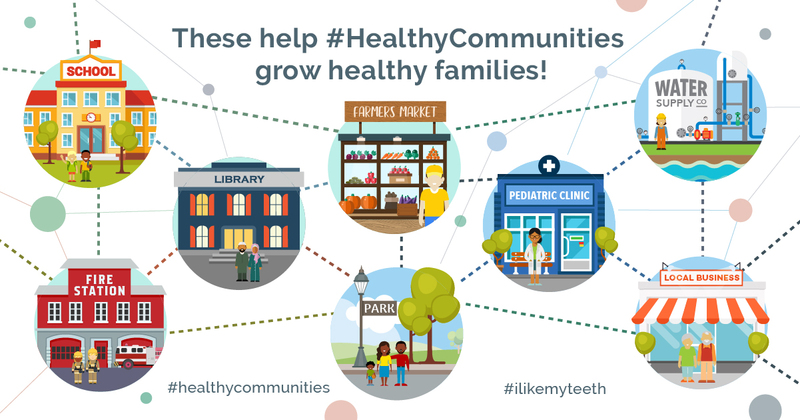 FrameWorks recently released a new toolkit to help advocates broaden the public’s understanding of oral health. The toolkit summarizes research and recommendations and models how to apply them to messaging and communications, such as blog and social media posts, legislative testimony, infographics, and more. Expand the scope of oral health beyond the teeth. 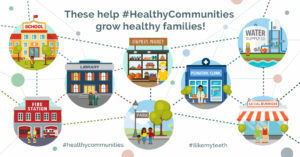 Resources in the toolkit show how advocates can make the connection between oral health and overall health and avoid frames that narrow the scope of the issue to the teeth. Define what a just oral health care system looks like. The value of Targeted Justice (the idea that a just system is one in which all people have access to the different supports they need to get good oral health) helps people understand the need for equitable access to quality care. Explain systemic barriers to oral health. The Keys to Oral Health metaphor, which compares systemic barriers to a series of locked doors, explains why some people can’t access good oral health—no matter how hard they try. The toolkit was produced in partnership with Oral Health 2020, a network dedicated to improving oral health for all people, and sponsored by the DentaQuest Foundation. It is part of a comprehensive suite of research and resources exploring how the public thinks about oral health, how it is framed in the news media and in the advocacy field, and how communicators can reframe it to build public support for solutions. Learn more about reframing oral health on FrameWorks’ website, join our mailing list, and follow us on Twitter at @FrameWorksInst.